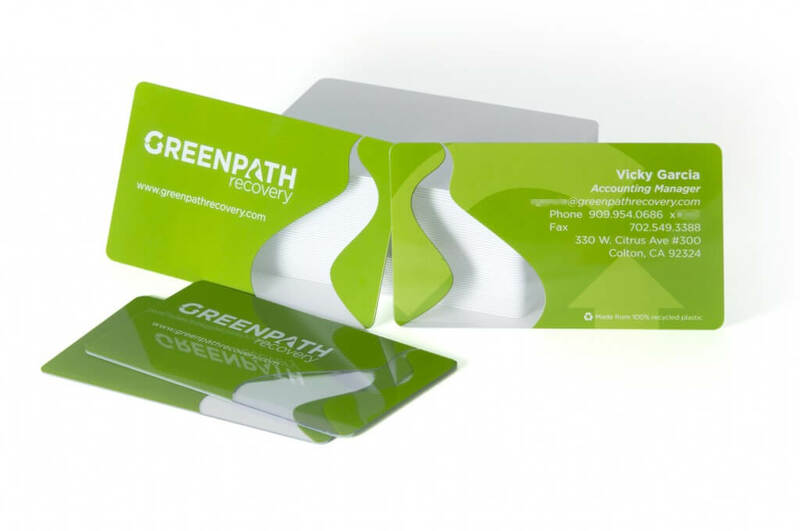 Plastic business cards make the perfect impression, whether clear, solid color, or somewhere in between. Quality custom gift card printing at affordable prices. Click to learn more. Precision foil printing with stunningly rich graphics and maximum wear resistance. An environmentally friendly solution for custom gift cards and more. Click to learn more. A loyalty card program is an excellent marketing strategy that rewards your current customers and attracts new ones. 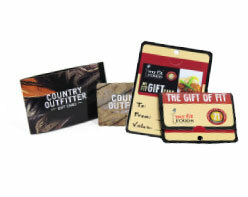 We are expert gift card manufacturers. Choose from gift cards printed with your own artwork or designed by us. 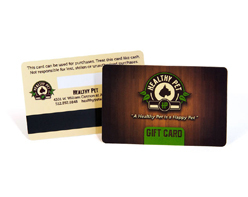 Our custom gift cards work with virtually every POS provider. 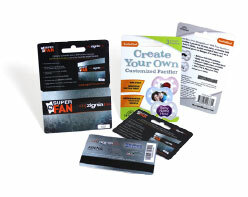 Leverage the power of plastic business cards and clear business cards to capture your brand identity. Our custom die cut business cards offer visual impact and innovative styling. 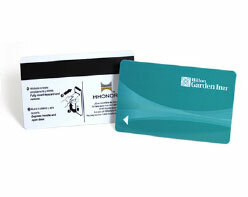 Plastic key cards provide affordable access control for hotels and other businesses. Customize your hotel key cards with special promotions. Choose magnetic stripe or RFID key cards. Sleeves and carriers are ideal for gift card presentation and display, providing a cohesive package design in a variety of form factors. We print membership cards for AAA, and are a plastic card supplier for top organizations worldwide. 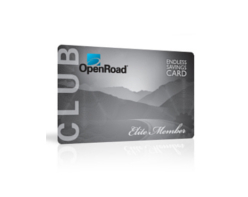 Choose from a wide variety of membership card printing options. Break-away card hangers are perfect for displaying gift and loyalty cards in a retail environment, while providing additional space for program information and promotion. 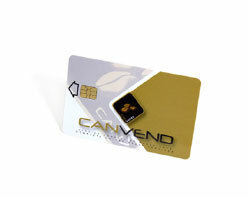 Smart cards offer the perfect balance of security and convenience. Choose from contact and contactless models utilizing RFID technology. 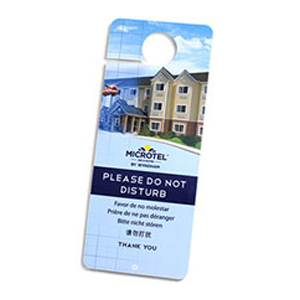 Plastic door hangers and do not disturb signs provide communication and promotional opportunities for your hotel or other type of business. Your customers are always on the go, and you don’t want to miss an opportunity to reward them for return business because they left their loyalty card at home. That’s why our affordable combination cards are a great solution. At Plastek Cards, top-quality plastic card printing at a competitive price is what we’ve built our reputation on. As a plastic card manufacturer, we offer a wide range of products and services, including plastic business cards, loyalty cards, plastic membership card printing, plastic key card printing, plastic gift card printing, and more. Whether you’re looking for clear business cards, customer loyalty cards, custom plastic cards, or clear plastic cards, Plastek Cards can help you create the perfect card to support your business objective. Place your order online or contact one of our helpful customer service representatives now at 888-762-2737. Take a look at what our customers have to say about us below and see why Plastek Cards has one of the highest customer satisfaction ratings in the custom card printing industry. In fact, in the unlikely event that your job is not delivered 100% as ordered, we promise to fix it, credit your account, or provide a full refund. 100% Satisfaction Guarantee! Our goal is to ensure that customers are completely satisfied with their order. If, for some reason, you are not 100% satisfied with the accuracy of your order, we will fix your order, credit your account or provide a full refund.